Presidio Hill Zen Group, located in San Francisco at the corner of Lake and Arguello, (at St. John’s Presbyterian Church), is a zen practice group. We meet Thursday evenings from 7:00 to 8:30 pm for zen sitting (zazen) and dharma teaching and discussion. The cultivation of Zen understanding, through sitting practice, teachings, dharma discussion, and sangha relationships can have a profound impact on how we meet the world, how we meet our own life, and especially how we meet the challenging aspects and difficulties in our life. 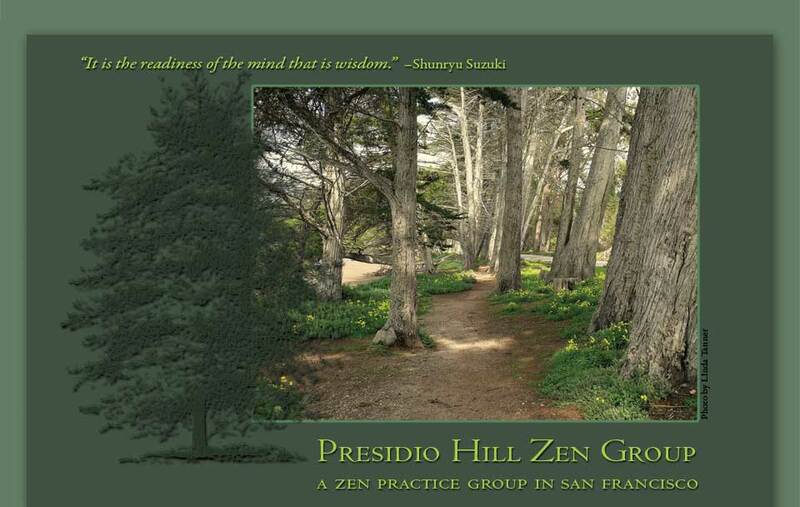 Presidio Hill Zen Group is dedicated to the zen teaching and spirit of Shunryu Suzuki Roshi, the founder of San Francsico Zen Center and author of Zen Mind, Beginners’ Mind. 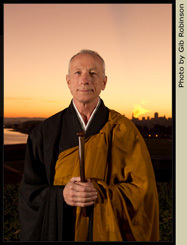 The guiding teacher of PHZG is Daito Steve Weintraub. All are welcome. If you have had previous experience with zen sitting, please feel free to come on any given Thursday evening, arriving shortly before 7:00 pm. If you have not had previous zazen experience, its a good idea to have some instruction before attending the group: please contact Steve Weintraub.